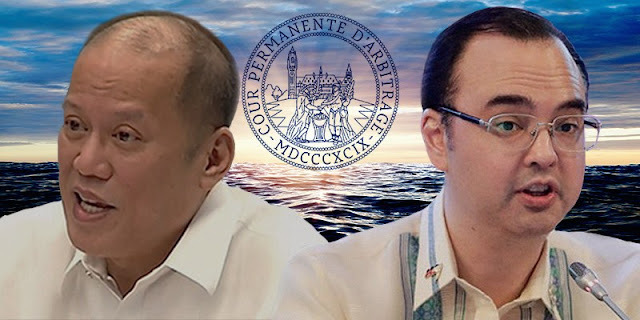 Foreign Affairs Secretary Alan Peter Cayetano did not hold back in his raw and unfiltered statement in another round of his ongoing WORD WAR with former President Noynoy Aquino, on Monday, August 6, 2018, amid “unclear chain of command, serious miscalculations and the absence of an end game for the country” despite winning the Arbitration case against China on the disputed waters. On Monday’s Facebook post, Cayetano turned the tables against Aquino by telling the latter, “Sir, you asked for transparency, yet you refuse to be transparent” for failure to provide a definitive response from an earlier inquiry and for ultimately dissatisfying the nation for the truth long untold. 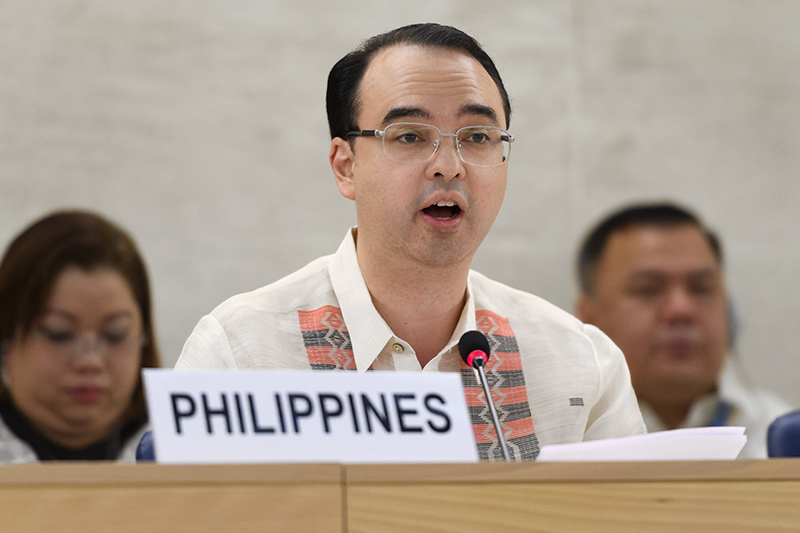 Cayetano sought in Aquino his ‘deep sense of patriotism’ by simply answering to the questions and refrain from his retarded instinct in asking everyone to GOOGLE the information, instead. By taking Aquino’s suggestion literally, Cayetano told the former Chief Executive that “this is not about our present playbook but yours” recounting Trillanes’s bitter dispute with the then Foreign Secretary Albert Del Rosario, way back 2012 despite his already aggressive ‘backchannelling’ efforts, saying that it was Aquino who directed him to accomplish the mission and that Del Rosario was unfit to represent the country on the negotiating table with China. “If Secretary Del Rosario was only close to being effective as a foreign secretary, then there wouldn’t be any need for a back channel in the first place,” Trillanes bluntly said during a phone interview. “The fear that China will build an outpost there in Scarborough was never true all along. 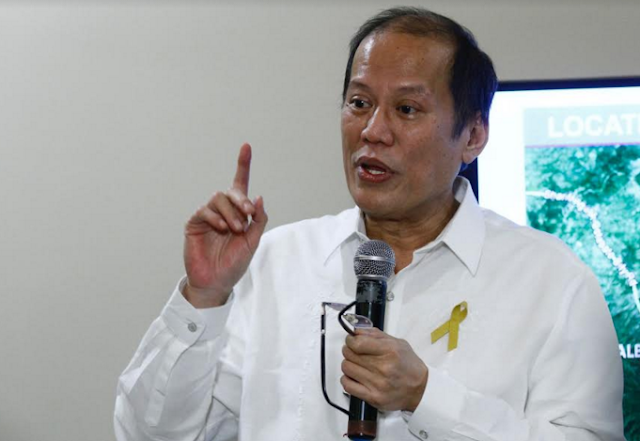 It’s better that we just course this through peaceful means,” added the Magdalo Partylist Representative during a radio interview. Back to Cayetano’s post that now has a good number of supports from his followers on Facebook, he also taunted Trillanes for confusing the people of his affiliation with Aquino saying that, “I was the Minority Leader, not a member of the majority at the height of the controversy on the West Philippine Sea.” He also reminded Aquino that the people are still waiting for his answers from the previous and foregoing questions, without GOOGLE’s disposal. Here’s Cayetano’s Facebook post that contains another set of questions for Aquino to simply ignore. A 2nd Open Letter to former President Benigno S. Aquino III after some thought and a thorough Google search. First, you criticized me for my hair. Then, your mouthpieces started calling me names. But when will you start helping enlighten the nation by sharing the events and your decisions, particularly those that led to the extremely complex situation in the West Philippine Sea that we are faced with today? I appeal to your deep sense of patriotism and request that you just please answer the questions I posed a few days ago instead of trivializing the issue. Merely unleashing your attack dog, Sen. Antonio Trillanes IV, or asking the public to just Google are not helping the situation for our people and our government. You know very well the questions I asked cannot be answered by a simple Google search alone. In fact, your suggestion to Google your answers to my questions led to more questions than answers. It revealed far more serious problems that emanated from an unclear chain of command, serious miscalculations, and the absence of an end game for the country. The media reports that we found in Google now compel me to reiterate many of the questions I raised, and even elaborate. 1. Why did we need to send a backdoor negotiator to resolve the standoff in Scarborough Shoal? Were the efforts of then Foreign Affairs Secretary Albert del Rosario to deal with the problem not enough? 2. Why did you choose Senator Trillanes? Did you handpick him for this sensitive mission or did he offer his services? What were your instructions to him? How many trips did he make to China? Who did he talk to? What was agreed upon? Who paid for the trips? Where are his reports? 3. Secretary del Rosario accused Senator Trillanes of “torpedoing his efforts to resolve the standoff”, while Senator Trillanes accused Secretary del Rosario of “committing a treasonous act.” It appears you chose to suport Senator Trillanes’s perception? 4. Is it true, as Senator Trillanes claims, that you considered his secret mission in back-channeling, a success? Did you consider surrendering Scarborough Shoal a success? (Note: In his statement to Ambassador Brady, he reportedly said: “Sa Pilipinas walang may gusto sa atin yong Panatag, yong Scarborough Shoal?" ). So who really ordered the Philippine ships to leave and why? 5. Was there, indeed, an agreement for the simultaneous withdrawal of both Chinese and Philippine ships? If no, why the sudden pullout? If yes, who brokered this agreement? Senator Trillanes? Secretary del Rosario? Or a third party? Who was this third party, if there was one? 6. Senator Trillanes reportedly told you that Secretary del Rosario had been giving you false information about Chinese actions. What were these supposedly false information? Were these information indeed proven to be false? 7. You waited for a text message from Senator Trillanes during the crucial moments of the standoff. What text message were you waiting for? Was it his text message that led to the order to end the standoff by leaving? 8. Why were our ships not ordered to return to Scarborough Shoal when you realized that the Chinese ships were not leaving? 9. Did you receive a commitment from Washington to help Manila in the West Philippine Sea dispute? If yes, how and when was this commitment relayed to you? How did you respond? If none, did you do anything about it? 10. You keep pointing to the arbitral award as basis for upholding our sovereignty, but can you point to that part of the decision that upheld Philippine rights, as regard to our complaints of militarization in the disputed areas, or even when there was a standoff between the Philippine and Chinese navies? 11. Couldn’t we have sent back our ships to Scarborough even while we were taking steps to bring the case to arbitration? Why not? Sir, you asked for transparency, yet you refuse to be transparent. This is not about our present playbook but yours. Your playbook is something already known to the Chinese Government and yet you refuse to share this and other facts with our people who knew nothing about it. Our current playbook is what we have to guard closely, not yours. Yet you and your allies continue to undermine the present approach that is called for in our current playbook. Do you or don’t you want to protect our country’s interests? P.S. Senator Trillanes is again trying to confuse our people. I was neither your close ally nor your enemy. I was the Minority Leader, not a member of the majority at the height of the controversy on the West Philippine Sea. Meanwhile, our people continue to await your answers to my questions above and others in my open letter.